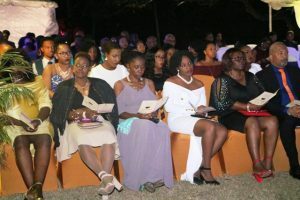 NIA CHARLESTOWN NEVIS (February 11, 2019) — The grounds of Government House at Belle Vue was alive on February 09, 2019, when 32 returning university graduates were honoured at the First Congratulatory Reception for University Graduates hosted by the Hon. Mark Brantley, Premier of Nevis and First Lady Mrs. Sharon Brantley. Mr. Brantley thanked the honourees and told them, in his view, Nevis is on the cusp of great things but to achieve them they have to be devoted to the island and make use of the opportunities which it offers. “We need you to be invested in the island and I want, from the bottom of my heart, to thank each and every one of you for being here tonight…to thank each and every one of you for having made the sacrifice, for having run the course for having finished the race, and for having come back and contribute to the building of Nevis. “It is now for us, all of us, working together to ensure that your lives are enriched and that the opportunities that you have prepared yourself for are made available to you, and I beg and beseech you that when they are made available to you that you grab them with both hands and that you make the best of the opportunities that Nevis has to offer,” he said. Mr. Brantley described the ceremony as a simple but significant one, as it marks a milestone in the lives of 32 of the island’s youngsters. He said it speaks volumes when an island the size of Nevis could celebrate so many young graduates at one time. The Premier added that it is also significant because it is important for the people of Nevis to recognise the graduates. “The significance of what you are doing and the relevance of what you are doing to the island and the development of the island cannot be understated. Nevis needs you. Nevis needs your energy. Nevis needs your ideas. Nevis needs the education that you have acquired to be put to use to benefit and develop this island that we all love. “Many of you have performed at the top of your classes. 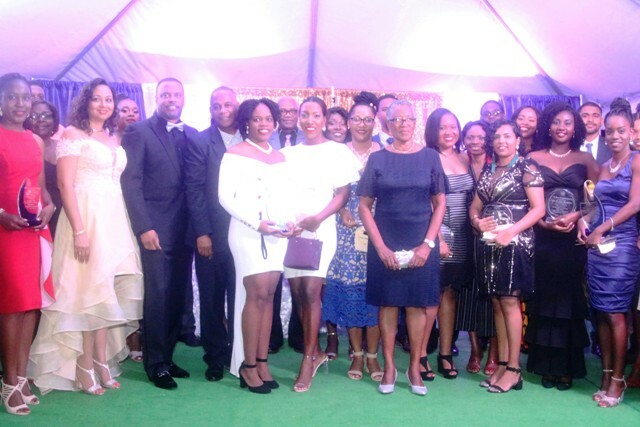 Many of you could be anywhere in the world that you chose to be but most of you have decided to come back home and be a part of the fabric of the Nevis society,” he said. 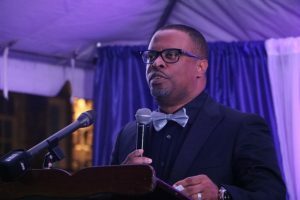 Mr. Brantley expressed hope that the ceremony not also recognised the returning graduates but also says to the island, the Federation and the Caribbean that young people are valued in Nevis. “We value those who have made the effort because, having been there myself a very long time ago, I know that it requires significant effort and significant sacrifice to achieve that which you have achieved,” he said. Twelve honourees (10 female and 2 male) graduated with Master’s Degrees. They studied in the areas of Industrial and Organizational Psychology, Doctor of Medicine, Management (General), Midwifery, Energy Systems, Business Administration, International Health, Management and Educational Leadership, Nursing (Post RN) and Finance. Twenty honourees (13 female and 7 male) graduated with Bachelor’s Degrees. They studied in the area of Management/Finance, General Chemistry, Pharmacy, Business Administration, Psychology, Business Management, Accounting, Hospitality and Tourism Management, Elementary Education, Early Childhood Development and Family Studies, Hospitality Management, Agricultural Science, International Tourism Business Management, Integrated Marketing Communication, Science and Early Childhood Education. They were presented with engraved plaques of appreciation by First Lady Mrs. Sharon Brantley who was assisted by Ms. Cynthia Broadbelt. 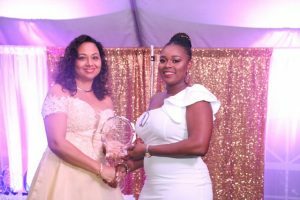 Among those present were Her Honour Hyleeta Liburd, Deputy Governor-General of Nevis; Hon. Farrel Smithen, President of the Nevis Island Assembly; Hon. Eric Evelyn; Hon. Spencer Brand and other Nevis Island Administration officials. The ceremony was chaired by Mr. Edson Elliott, Permanent Secretary in the Ministry of Human Resources. Ms. Zahnela Claxton, Principal Education Officer in the Department of Education, delivered the Acknowledgments. The Graduate’s Response was delivered by Ms. Lisa Lee, the Vote of Thanks was delivered by Mr. Kevin Barrett, Permanent Secretary in the Ministry of Education and the Invocation was done by Pastor Wayne Maynard. The national anthem was rendered on steel pan by Ms. Shavonne Maynard. The entertainment was provided by Ms. Venelle Powell.